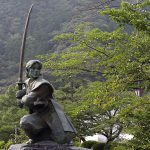 Reflections on the Shinai’s History – Is the Shinai just a bamboo sword or is there more to it? A ‘Shinai’ is commonly known as a practice tool replacing a live blade in Kendo and Kenjutsu. And yet, it goes beyond being simply a tool in that it’s treated with reverence. More than just being a bamboo sword used during practice or competitions, by standing in for a real sword, its usage vicariously approximates life-or-death duels. Naturally, given this state of mind, certain practices apply when, for instance, you place the Shinai on the ground. This includes not straddling the sword, not holding the sword with your left hand and pointing the tip to the ground when standing up, or even rolling the sword on the ground. The kanji characters ‘木’ (read: boku, moku, or ki) and ‘刀’ (read: to or ken) are read as such – ‘bokuto’ (wooden sword). In contrast, Shinai (bamboo sword) combines the kanji characters ‘竹’ (read: take) and ‘刀’ (read: to or ken), but the reading – ‘Shinai’ doesn’t reflect that. One theory states that this word is rooted in ‘撓う’ (read: shinau), which means ‘to bend flexibly’, and that it gained this exclusive usage in Kenjutsu circles. Originally, before the Shinai was introduced, blunted swords or wooden swords were used during practice. In those days, practicing with such equipment would result in serious injury whenever practitioners made full contact, so it naturally followed that they shifted almost exclusively towards drilling forms. 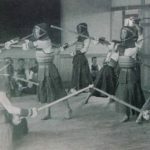 This meant that they’d stop their sword right before contact in paired forms or drills training, but a single mistake in gauging the amount of force would often result in unintentional contact; one misstep would place a student’s life on the line. Such was the type of practice back in the day. Kamiizumi Nobutsuna, a master in battle arts from the school of Shinkage Ryu, is accredited with first introducing the Shinai. This was built differently from the current type of Shinai used, and it was known as the ‘fukuro Shinai’. 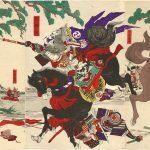 It was introduced during Koizumi Ise no Kami Hidetsuna’s time, between the Sengoku Period (Period of the Warring States) and the Azuchi Momoyama Period. Roughly speaking, this was about 500 years before the Kendo Bogu first saw light during the Bakumatsu’s rule (aka Edo or Tokugawa Shogunate Period). This early iteration used rounded bamboo. The tip was saddle-shaped and wrapped in a cover made of either split hide or cloth. The handle was left as bare bamboo. 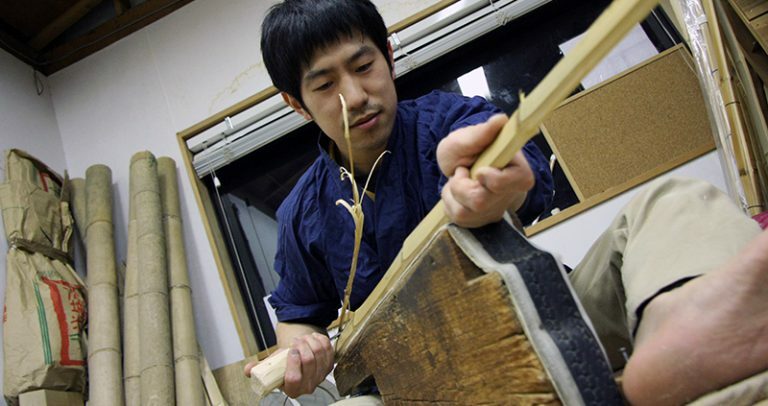 Compared to the Shinai in its current form, which is made out of four split bamboo slats, the fukuro Shinai back then could be made from as many as 16 split slats. It was pliable and good for deflecting blows, but didn’t lend itself to effective thrusting techniques, which were somewhat rare at the time. The Period of the Warring States was over and Japan ushered into the Tokugawa Era, bringing with it peaceful times. As a result, Kenjutsu became more of a form of entertainment for samurai. However, while martial arts’ relevance in society was waning, many samurai starting feeling the necessity to sharpen their Kenjutsu skills. 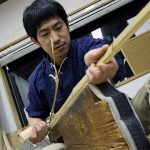 That’s where the Shinai with four slats was introduced, which has undergone very few alterations till today. Oishi Susumu of the Oishi Shinkage Ryu school of Kenjutsu is credited with being the first to utilise this four-slat iteration, and it was less pliable than the fukuro Shinai, allowing for thrusting techniques. Around the same time, training while wearing the Bogu spread, and consequently, many schools established their own distinct styles. 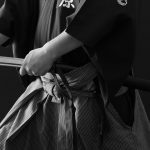 Particularly, the Itto Ryu subdivision of the Hokushin Itto Ryu school has a substantial part of its syllabus dedicated to techniques using the Shinai. 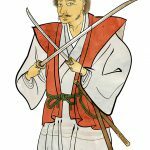 Prior to the Edo Period, there was no default length for the Shinai. Most practitioners made their own and length veried accordingly. During the Edo Period, The Tokugawa Shogunate set the maximum length for the Shinai at 2 shaku 4 sun (approximately 72 cm), and this became the standard length. There were exceptions, such as in the case of Oishi Susumu, the pioneer of the four-slat Shinai. Due to his unusually large physique, he opted for a Shinai 5 shaku 2 sun long (161 cm). 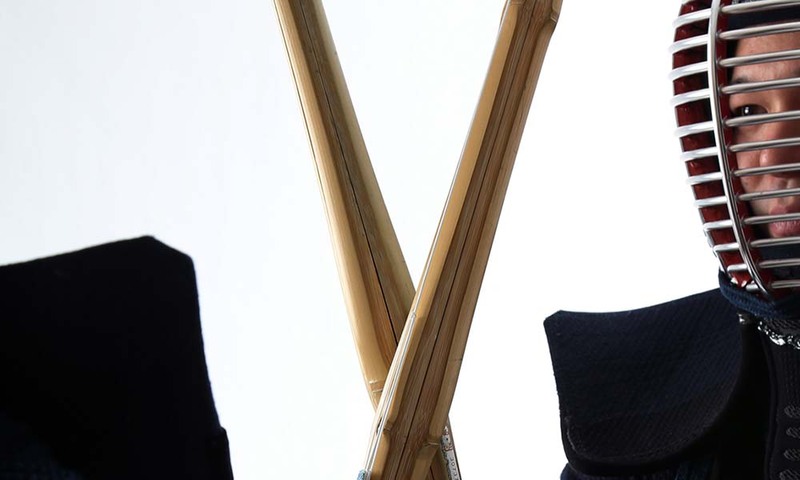 After gaining an impressive winning streak against representatives from several different schools, a Shinai at least four shaku (approximately 120 cm) long spread throughout the country. Eventually, the man to put a cap on how long the Shinai could be was Otani Nobuhito, Director of Kenjutsu Studies at the Martial Arts Training Institute, by limiting it to 3 shaku 8 sun in the 3rd year of Ansei. This remains the standard length used for Shinai in contemporary Kendo. Kendo was born in the twilight years of the Tokugawa Shogunate as a competitive form of Kenjutsu practiced with the Shinai. However, going beyond simply treating the Shinai as a mere tool for competitions and understanding its birth and history inspires fondness. In turn, by treating it with care, you’ll understand further the manners and ethics of Budo. And when this happens, I believe there’s a good chance this will assist you in refining your technique. Brandnew Kendo Shinai from Tozando!